Dt: 01.10.2017: VASU investment Rs.300,000 through cash. Dt: 01.10.2017: One Lenovo Laptop purchased from M/s.PRAKASH DISTRIBUTOS @ 24,000 + GST 18% (CGST 9% + SGST 9 %) vide Invoice No: 008/2017-18. Dt: 02.10.2017: One HP Laptop purchased from M/s.PRAKASH DISTRIBUTOS @ 26,000 + GST 18% (CGST 9% + SGST 9 %) vide Invoice No: 10/2017-18. Dt: 03.10.2017: One Dell Laptop purchased from M/s.PRAKASH DISTRIBUTOS @ 29,000 + GST 18% (CGST 9% + SGST 9 %) vide Invoice No: 18/2017-18. Dt: 09.10.2017: One LENOVO DESKTOP purchased from M/s.PRAKASH DISTRIBUTOS @ 22,000 + GST 18% (CGST 9% + SGST 9 %) vide Invoice No: 22/2017-18. Dt: 11.10.2017: One HP DESKTOP purchased from M/s.PRAKASH DISTRIBUTOS @ 23,000 + GST 18% (CGST 9% + SGST 9 %) vide Invoice No: 28/2017-18. 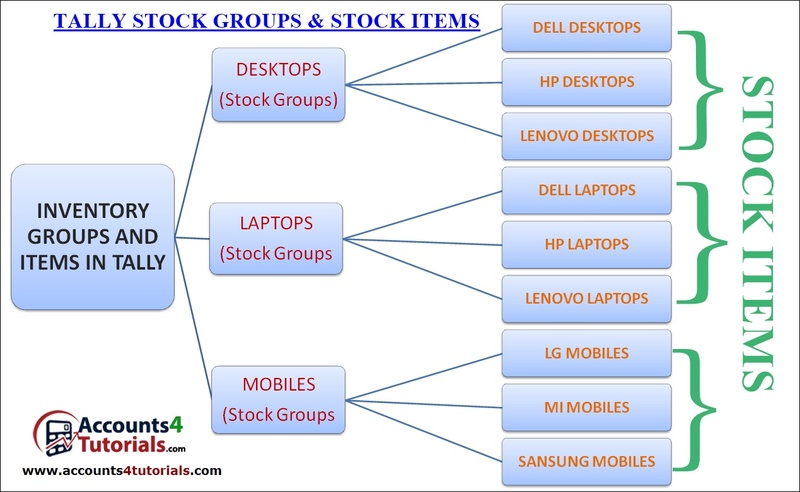 Dt: 11.10.2017: One DELL DESKTOP purchased from M/s.PRAKASH DISTRIBUTOS @ 24,000 + GST 18% (CGST 9% + SGST 9 %) vide Invoice No: 29/2017-18. Dt: 15.10.2017: One SAMSUNG MOBILE purchased from M/s.PRAKASH DISTRIBUTOS @ 12,000 + GST 12% (CGST 6% + SGST 6%) vide Invoice No: 40/2017-18. Dt: 18.10.2017: Purchased Two LG MOBILES @ 9,000 + GST 12% (CGST 6% + SGST 6%) & One MI Mobiles @ 8,000 + GST 12% (CGST 6% + SGST 6%) from M/s.PRAKASH DISTRIBUTOS vide Invoice No: 48/2017-18. On 23.10.2017 Vasu & Co Purchased the following stock items from M/s.PRAKASH DISTRIBUTOS vide Invoice No: 52/2017-18. Dt: 30.10.2017: One SEVEN HP DESKTOP purchased from M/s.Prakash Distributors @ 23,000 + GST 18% (CGST 9% + SGST 9 %) vide Invoice No: 60/2017-18. 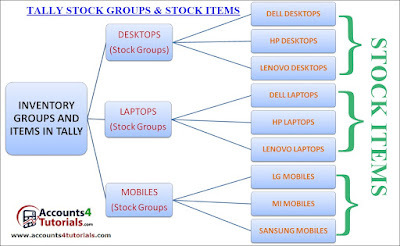 For the Above transactions, you have to create the following FIRM, STOCK GROUPS, UNIT OF MEASURES, STOCK ITEMS AND LEDGERS. Note: By default Cash Ledger is created by Tally. So no need to create Cash Ledger. 01.10.2017: VASU investment Rs.300,000 through cash. Purchase Transaction No- 1: Dt: 01.10.2017: One Lenovo Laptop purchased from M/s.PRAKASH DISTRIBUTORS @ 24,000 + GST 18% (CGST 9% + SGST 9 %) vide Invoice No: 008/2017-18. > In the Accounting Voucher Creation Window fill the following information. > Click on Enter/Ctrl+A to save the Purchase Transaction. In the same way enter, all Purchase Transactions. Check and Enter Customer Details (Eg: Enter Purchase order No, Date, Payment Terms and Check Customer Name, Address, Country, State & GST No) and Press Ctrl+A to save Customer details. Hint: You Can edit Customer Details. Note: Edited details not reflected in original Customer Ledger. This Edited detail is only affected by this Sales transactions. > Click on Enter/Ctrl+A to save the Sales Transaction. In the same way enter, all Sales Transactions. > Enter Narration and Press Ctrl+A to save Payment Voucher. In the same way enter, all Payment Transactions. Capital Entry already entered in the previous step. In the same way enter all Receipt Transactions.